For 2016 Felt improved the F1X to offer better tire clearance, thru-axles and better tubeless wheel options, which we outlined last year when the new line was introduced at the Sea Otter Classic. 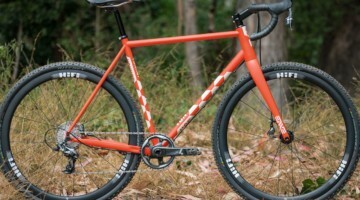 Felt’s cyclocross offerings have seen success at the top end of the sport under both Hannah Arensman and her sister Allison as well as Danny Summerhill. And the newest F1X too is ready for prime time. 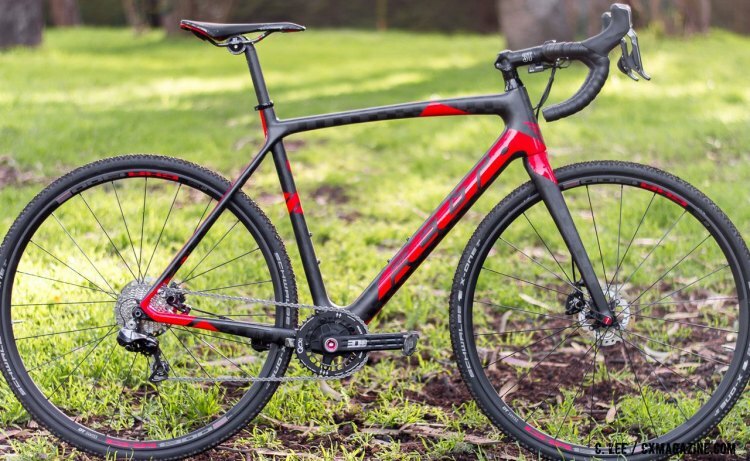 We are currently riding and reviewing Felt’s flagship F1X, a 17-pound race machine with DT Swiss CXR 1300 tubeless carbon rims built with DT Swiss 350 disc hubs. 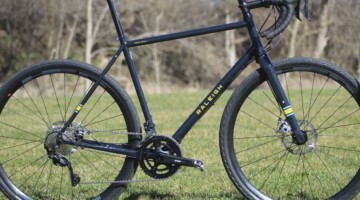 This bike is light at the core and without the wheels, this bike is a mere 10.5 pounds! 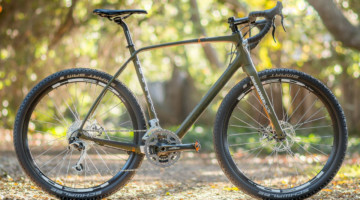 To gain some of the added tire clearance Felt uses bridgeless chainstays and seatstays and a BB386EVO bottom bracket, each feature contributes to the gossamer weight. The F1X frameset uses Modular Monococque construction, where major sections of the frame are molded and then joined together. According to Felt, this allows each section to be optimized as opposed to molding the entire frame as one piece. The fork uses Felt’s UHC + TeXtreme technology that combines “high and ultra-high unidirectional fiber construction with proprietary Nano resin.” That’s a lot of jargon to explain that Felt puts its development resources right up front into the all-carbon tapered steerer 15mm thru-Axle fork. All of the control lines on the F1X run internally with elegant, rubber-plugged ports for entry and exit of the lines for the shifters and brakes, including through the svelte left fork blade. 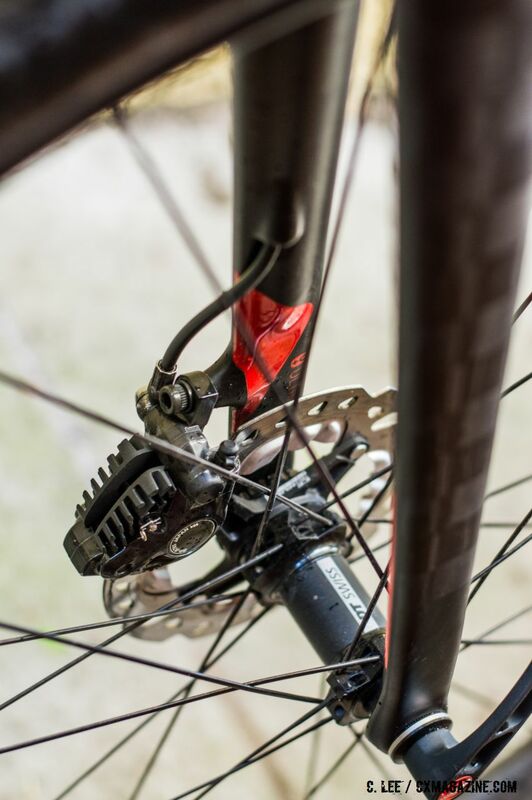 There is a trap door is at the bottom bracket to access the rear brake and derailleur lines more easily. Geometry is long with a 56.5cm effective top tube on our 55cm sample. Combined with 43cm chainstays and a 611mm front center, the wheelbase is 103.3cm. The 386EVO bottom bracket rides at mid-height for a modern ‘cross bike with a 6.5cm drop. This is a true top-end bike equipped with Shimano DuraAce Di2 11-speed shifting and RS 785 hydraulic Di2 levers and calipers. 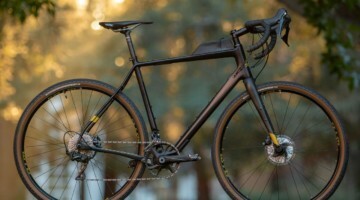 One might think the left shifter would be wasted with the absence of a front derailleur, but the Felt F1X came with modified Di2 software allowing either button on the left shifter to move the rear derailleur to lower gears while either right shifter button moves the chain right to upshift, much like paddle shifters now commonly found on sport cars (and a shift method used by the new SRAM eTap). The heavily machined Rotor 3D+ crank has a Rotor QCX1 40 tooth ring with a tall, wide/narrow tooth profile for the single ring application. The gearing is decidedly race oriented with an 11-28 Shimano cassette. 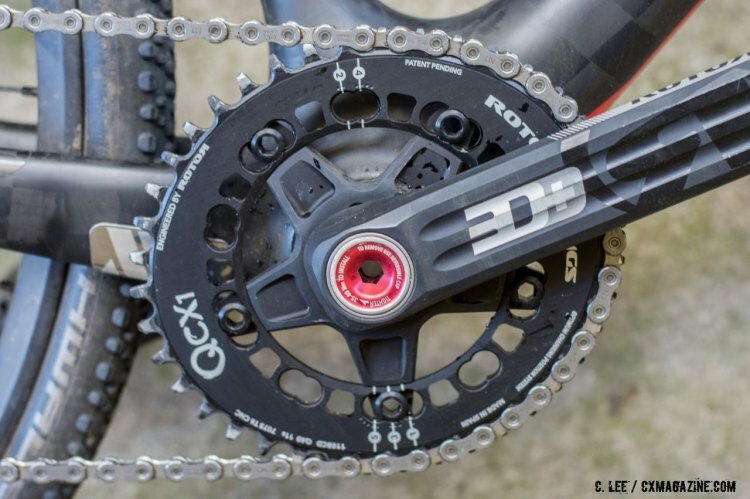 Using the standard DuraAce 9070 Di2 rear derailleur, which lacks a clutch mechanism, means the chain tension has to be carefully chosen to minimize the chance for dropping the chain despite the wide narrow chainring. 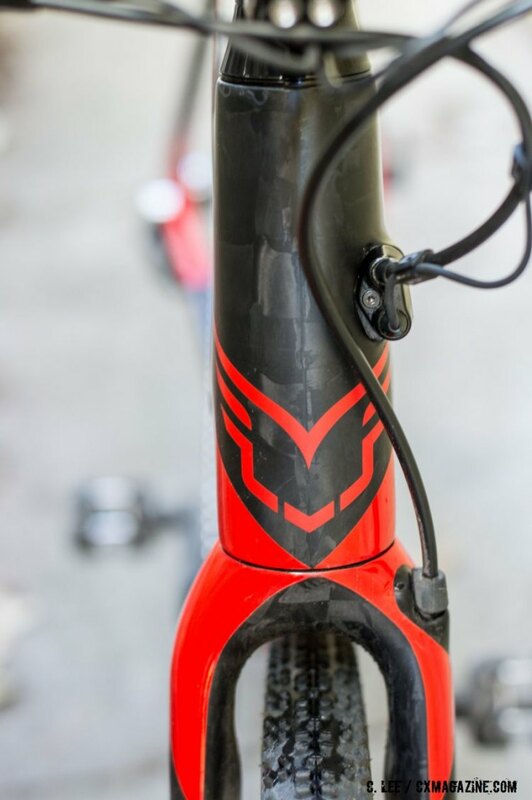 The cockpit is from 3T and combines the carbon Ergoterra Team Stealth bar with a ARX 2 Team Stealth aluminum stem. The seatpost is 3T’s carbon Ionic 25 Team Stealth topped with a Prologo X Zero saddle with TiRox rails. 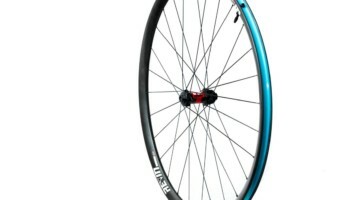 The wheelset on the F1X is a DT Swiss CXR 1300 with tubeless ready carbon rims. The wheels came to us already set up tubeless with Schwalbe X-One 33mm ‘Tubeless Easy” cyclocross tires. 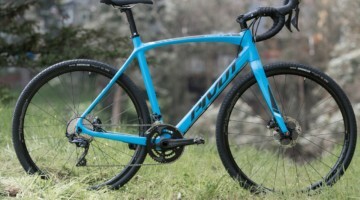 That package yields a 17.0 pound ‘cross race bike. Stay tuned for a full review in the print edition of Cyclocross Magazine. Not a subscriber? Get a subscription to the print magazine for less than a race entry fee. I ride the F65x myself and i can only say it is an aluminum cross beast! Not to far from the comfort and feeling of the carbon models and easily the best bike i have ever ridden.